Went for a short warm up run today. Here I am in my glow in the dark shirt, can’t miss me coming! I downloaded the Nike Training app a few months ago and I really like it. They have 15-45 minute workouts, you can play your music in the background, the app tells you when to do something new. There’s also a picture of it. You can always change it up if something is too easy or difficult for you. There are several levels and you earn badges! Here’s a screen shot of part of what I did today. 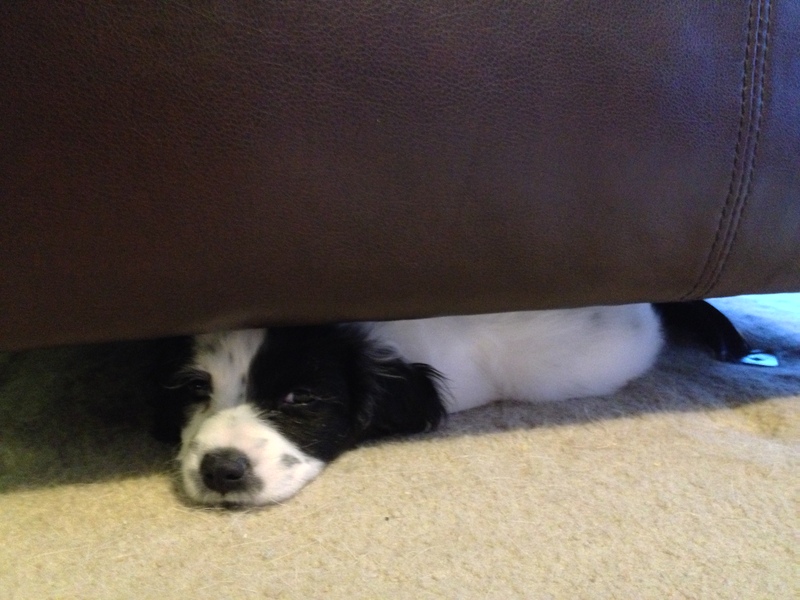 Molly hid under the recliner. Guess I scared her. Ally and I got a new yoga mat, guess who did not pick this one out? 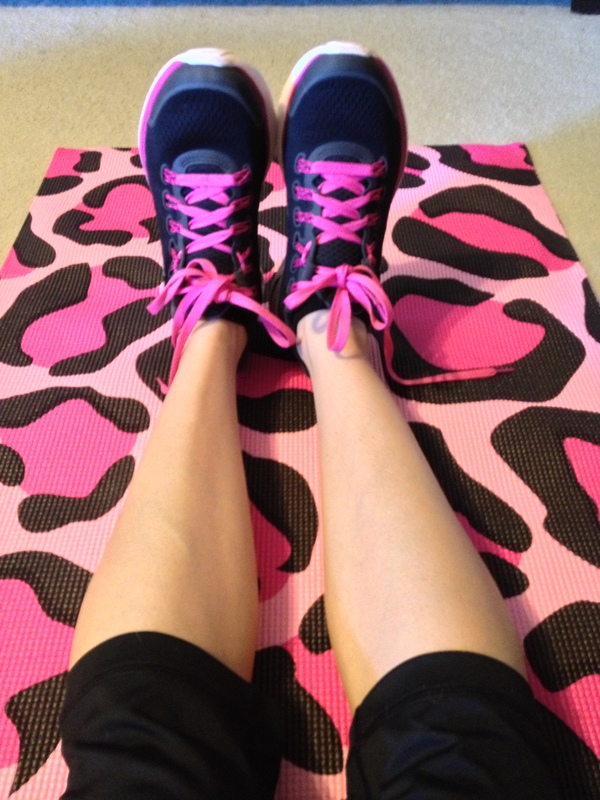 At least it matches my shoes! Lunch was home made taco soup. 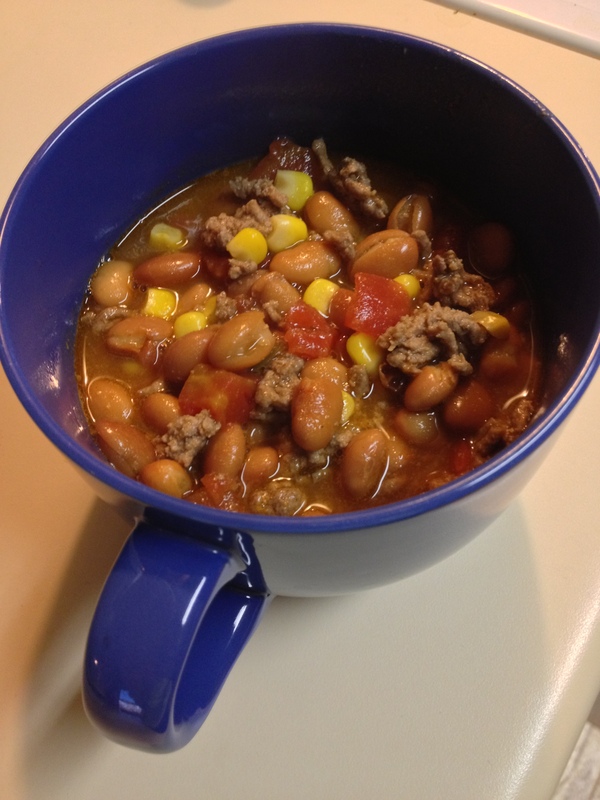 Basically I cook ground meat (sometimes turkey) and dump frozen corn and canned beans and ro-tel tomatoes in a pot and cook it. It’s pretty good! Tomorrow is another 5 miles, looking forward to 7 miles this weekend. Slowly building my endurance back up. Have a great day everyone! 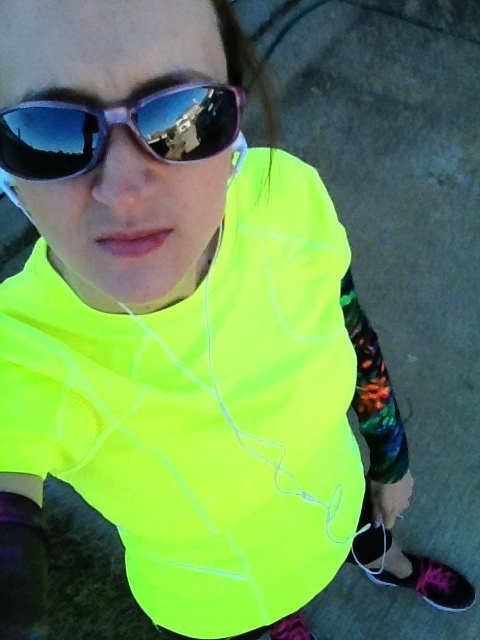 This entry was posted in Uncategorized and tagged nike, run, yoga. Bookmark the permalink.